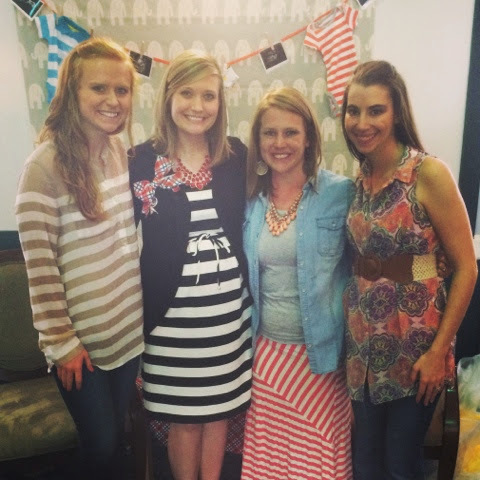 Several friends and I (Chelsea and Margaret, you've met before from their guest posts...and Shannon), along with several ladies from our church (who rocked some food) hosted a baby shower for our amazing and fantastic friend Andi and baby boy Liam his afternoon. 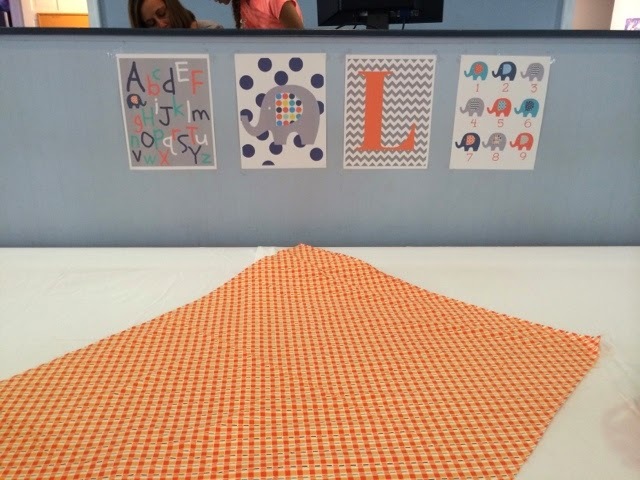 We went orange, blue, and grey with some elephants thrown in, in the hopes that she can reuse for her nursery theme. 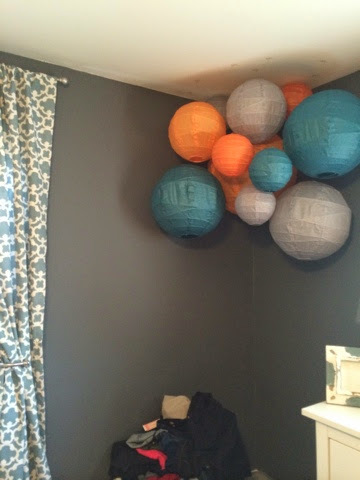 Andi posted this sneak peak of her nursery on her blog and I ran with it! 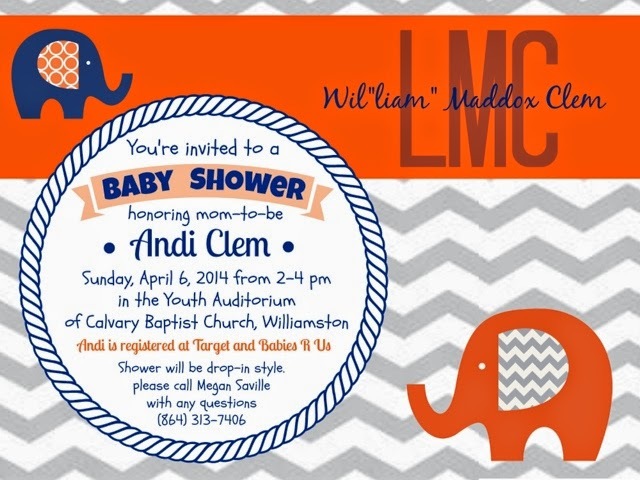 I got my graphic design on for this shower! Love the way these precious invitations came out. 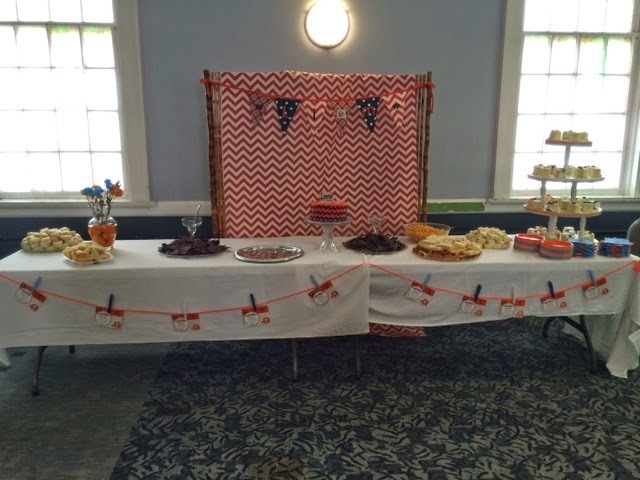 Our good table featured our orange and blue theme as well! 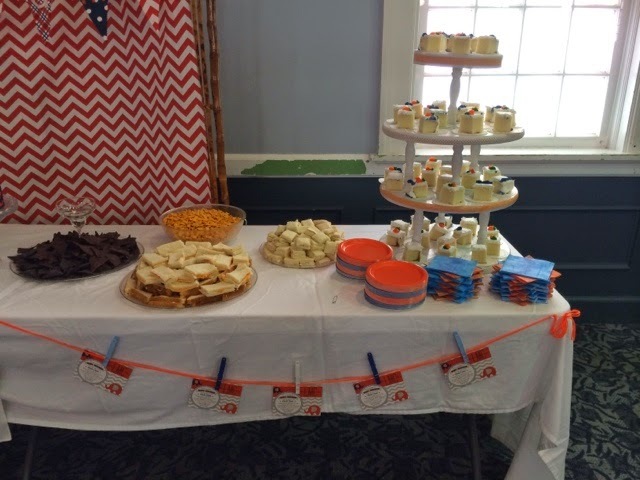 We had pimento cheese sandwiches, goldfish, blue corn chips, guac, and two fantastic cakes. 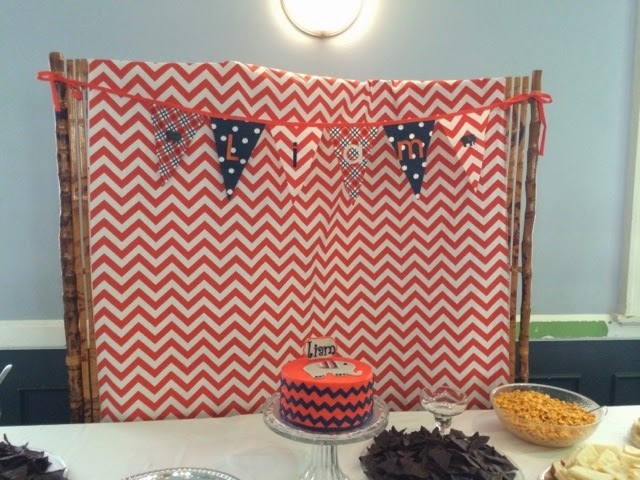 For decor-we used chevron fabric backing and an embroidered Liam banner. We hung invitations along the edge. Close up of banner and cake. My mom did all the great banners! Here's where Andi and her scribe (grin-Shannon) sat! 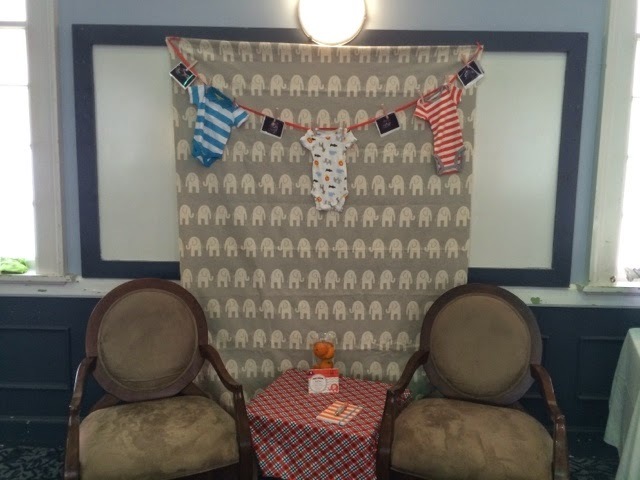 We hung onesies and her sonogram pictures with some sweet grey elephant fabric. 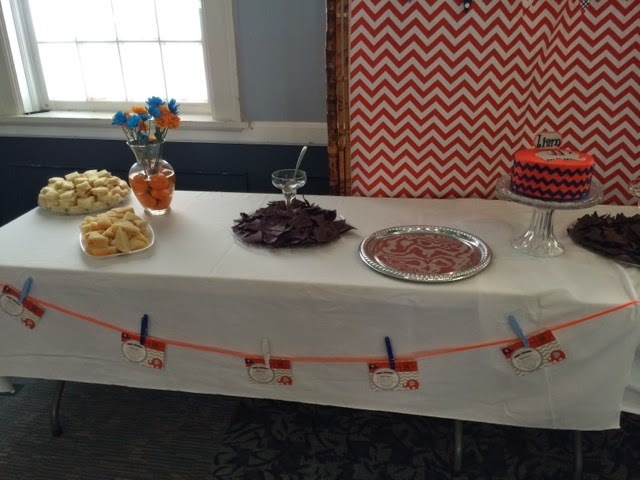 We had a cute end table with a vase of oranges in water, as well as a coordinating notebook and pen waiting for Andi! 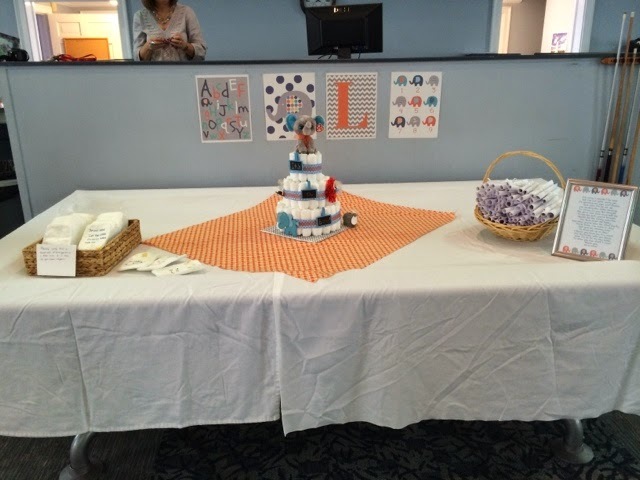 Gift table with another cute banner-this one had fabric scraps tied on! 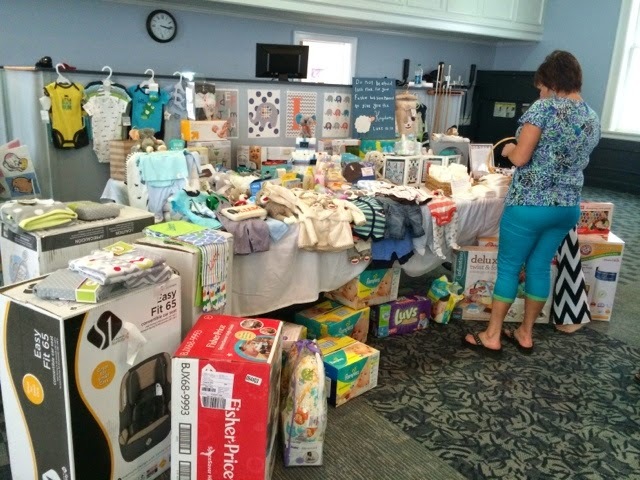 Here's the "opened" gift table. 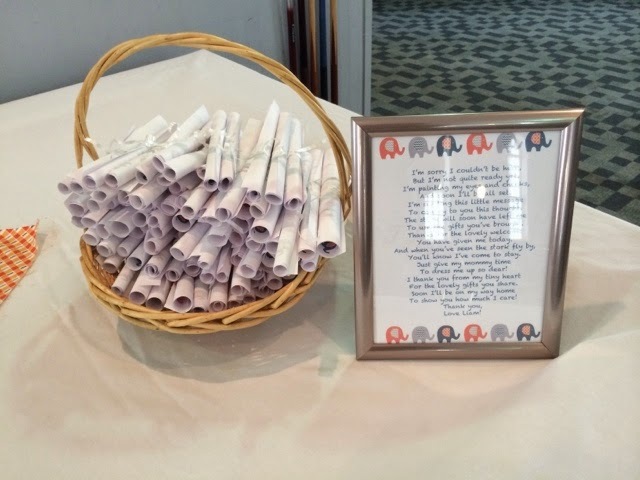 I created the fun printables in the back (I framed 5*7 ones as part of Andi's gift). 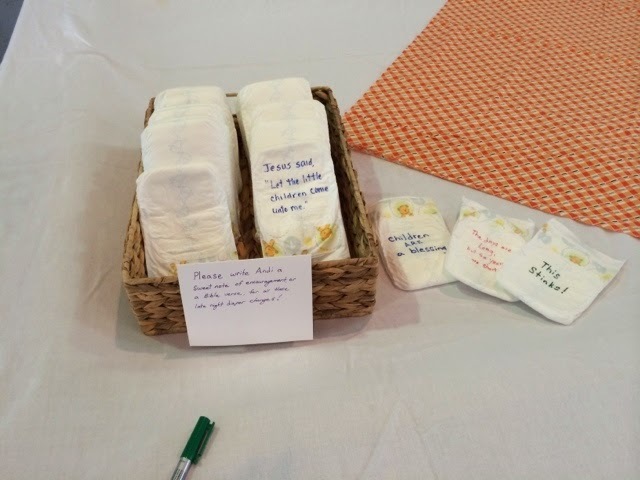 Margaret did the diaper cake and a fun "write on the diaper" station. 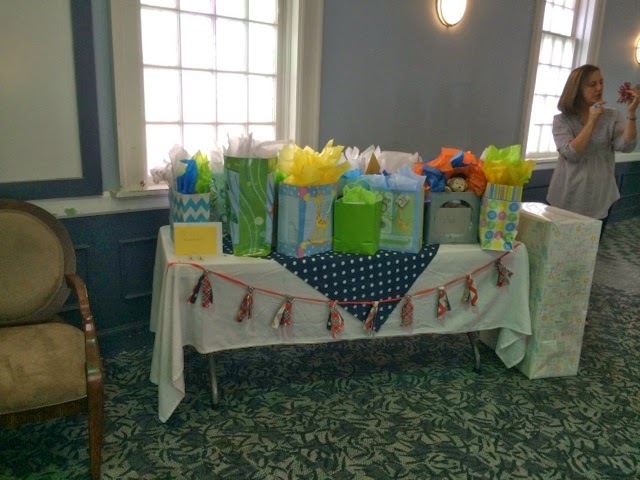 Full gift table: (Liam is already so loved). Left to right: Shannon, Andi, Chelsea, and me. I so love my best friends with my whole heart!!! I think everything turned out so cute. I don't know when our friend group "graduated" from the group finishing college, to the group getting married, to now the group having kids!?!? But, welcome to the new age I guess! Come on Liam-we're ready for ya!